Buy Peanut Peeling Half Separating Machine Coffee Bean Skin Removing Cocoa Beans Separation Machine - Shandong Microwave Machinery Co.,Ltd. 1.Peanut Peeling Half Separating Machine Coffee Bean Skin Removing Cocoa Beans Separation Machine uses attrition roller to peel off the deeper skin of vegetables&fruits, and the peeled material's surface is very smooth. 2.While Peanut Peeling Half Separating Machine Coffee Bean Skin Removing Cocoa Beans Separation Machinepeeling the vegetable or fruit, there is high pressure water cleaning them at the same time. 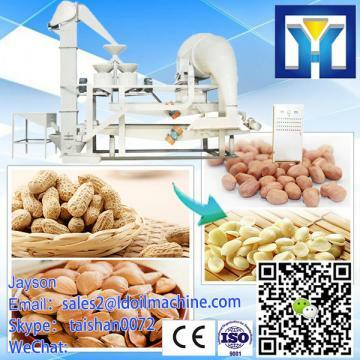 2.Peanut Peeling Half Separating Machine Coffee Bean Skin Removing Cocoa Beans Separation MachineSuitable for those kithchens of school, restaurant, big facotry, food processing facotry, supermarket, etc. Cherry's Whatsapp:008618539906275; Skype:LDmachine78; Email:cherry@ LDinc.com. This cocoa bean peeling machine is a special equipment for processing cocoa bean and peanut. The cacao processing machines has a high degree of automation, peeling rate is high, low noise and no pollution etc. This Peanut Peeling Half Separating Machine Coffee Bean Skin Removing Cocoa Beans Separation Machine is the vacuum cleaner cansuck cocoa bean skin and peanut red coat, is the ideal choice for the food processing industry. My whatsapp/wechat: 86-18539906275; Skype: LDmachine78; E-mail: cherry @LDinc.com. Shandong Microwave Machinery Co.,Ltd.is a Peeling Machine factory specializing in the production of Peanut Peeling Half Separating Machine Coffee Bean Skin Removing Cocoa Beans Separation Machine, scientific research,manufacturing,installation, commissioning.Shandong Microwave Machinery Co.,Ltd.can provide Peeling Machinecustomers with design and services of 1-2000 tons Peanut Peeling Half Separating Machine Coffee Bean Skin Removing Cocoa Beans Separation Machine. Shandong Microwave Machinery Co.,Ltd. have finished hundreds of successful projects Peeling Machineover the years: peanut oil, soybean oil, rapeseed oil, cottonseed oil, sunflower oil, sesame oil, animal oil,grape seed oil, acer truncatum oil, peony seed oil, walnut oil, hemp seed oil, pine oil, tea seed oil, papaya oil, milk thistle seed, and other special type Peeling Machineoil. Shandong Microwave Machinery Co.,Ltd. have independent import and export department. Shandong Microwave Machinery Co.,Ltd. Peeling Machineequipment has been successfully exported to more than ten countries: Russia, Australia, India, Afghanistan, Cameroon,and so on.